Hello everyone! Lots of new goodies from Magical Scraps Galore this week! First off, in celebration of Dr. Seuss birthday today, a fun and whimsical collection: FUN IS GOOD. And it’s Hatchery time at The Digichick, so keep reading to check out the fabulous BOHEMIAN SPRING packs at just $1 each! 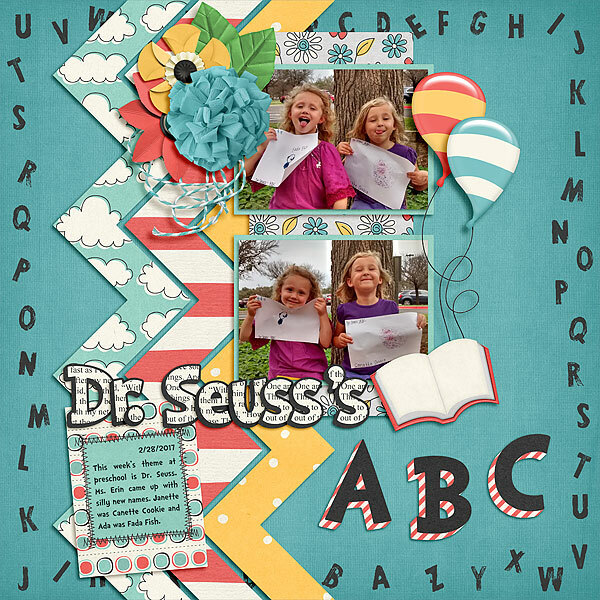 FUN IS GOOD is a whimsical collection that celebrates Dr. Seuss and the love of books. 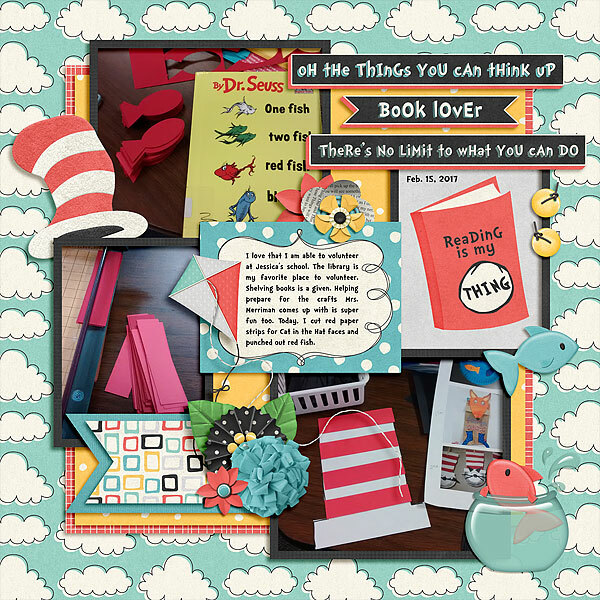 Overflowing with fabulous elements and fun patterns, this kit is perfect to scrap your little reader, your favorite childhood books, a theme park vacation, and so much more! I have two layouts to share. This first one documents my time spent volunteering in the library at Jessica’s school. And this second one is Janette and her BFF after preschool pick-up showing off their artwork for the day. It’s Hatchery time at The Digichick! And you can get the BOHEMIAN SPRING packs at just $1 each for the first week! With its gorgeous colors and bohemian feel, this collection overflows with boho chic and hippie icons such as feathers, arrows, a dream catcher, deer skulls, a guitar, peace symbols, as well as loads of flowers, leaves, birds, and butterflies, among many other fabulous goodies. Perfect to scrap your darling teen, your indie style, the positive springtime vibes, your free spirit, your adventurous self, and the peace and love in your heart.